Sand washer is widely used in construction site, quarry plant, hydro-electricity power plant and concrete dam industries. It has the characteristic of high purity, reasonable structure, large production output, low energy consumption and small material running. Especially the bearing, water and material are isolated, which prevent the machine from rusting and damage caused by pollutants. The production line of sand washer should according to the production technology process with the requirement of low investment, fast construction, advanced index, reliable operation, and safety production. Reasonable use the terrain to create convenient conditions for materials transportation, and simplify the material transport link. 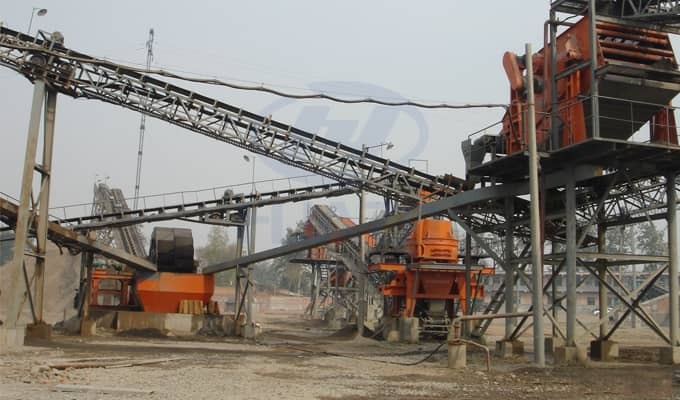 The sand washer should close to the service site as much as possible, such as the water and power supply device close to the main user, sand washer is installed near the place of feeding material, and the stockyard of finished products near the concrete mixing station.